The Kate Spade Concealed Spiral Notebook will adorn your desk in quirky style. 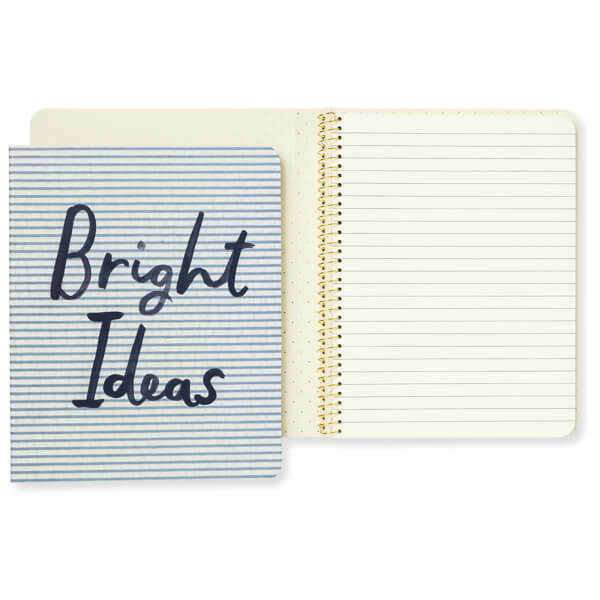 The classic spiral notebook is decorated with blue and white stripes and ‘Bright Ideas’ emblazoned on the cover. With 112 lined, ivory coloured, wood free pages and gold foil accents, the notebook is perfect for use as a diary, holiday journal or for the novel you’ve always wanted to write.